A woman died after she received wrong blood group transfusion at a Government run hospital at Keonjhar in Odisha. The incident triggered tension in the area and dismissal of two employees. Angry over the incident that took place on Tuesday night, family members and relatives of the woman and local residents staged a road blockade near the district headquarters hospital in Keonjhar for sometime and staged demonstration demanding action against the guilty and adequate compensation. Sukanti Nayak (45) of Hadabandhasahi locality in old town area was admitted to the medicine ward of the district headquarters hospital in Keonjhar on Tuesday afternoon and doctors advised her one unit of blood, hospital sources said. As per the advice of the doctor, the patient's husband Birendra Nayak went to fetch aa unit of 'O' group blood from the blood bank in the hospital premises, they said. 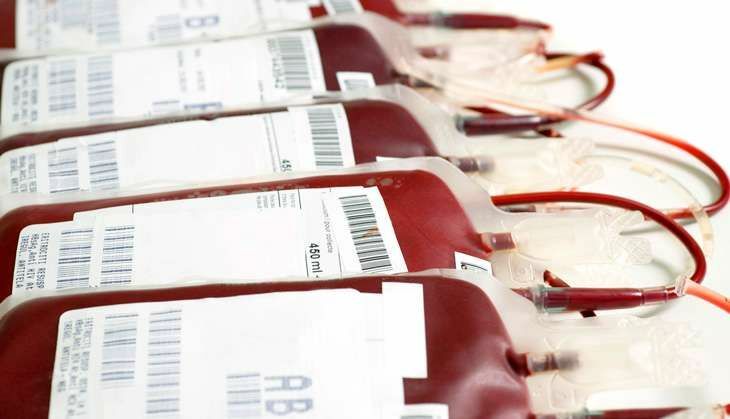 However, the laboratory technician at the blood bank allegedly handed over a packet of 'A' group blood which was administered to the woman by a staff nurse, they said adding the patient died after a short while on Tuesday night. Subsequently it was found that wrong group of blood had been transfused without proper verification, they said. The hospital authorities also admitted that a major mistake had certainly been committed. Chief District Medical Officer (CDMO), Kabindra Prasad Sahu said as per instruction of the district Collector, laboratory technician Bharati Mahanta and staff nurse Hemangini Mahanta have been dismissed for gross negligence. Besides, recommendation has been made to for action against a doctor for dereliction of duty. Stating that a miscommunication at the blood bank had led to the unfortunate incident, Mr sahu said two requisitions in the same name had been received at the blood bank - one from Gynaecology and another from Medicine ward. The blood meant for the patient in gynaecology ward was by mistake handed over to the relatives of of Sukanti Nayak admitted in the medicine ward, hospital sources said. Nagpur Maratha rally sees low turnout. Has the agitation lost steam?